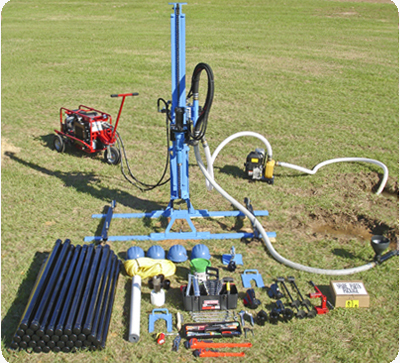 The LS200H Water Well Drill is excellent for drilling applications that require the added power and durability of a hydraulic system. The LS200H features a simple hydraulic system with pullback/pushdown force of up to 5,000 pounds for efficiently drilling to 200 feet in sand, clay and soft rock formations. 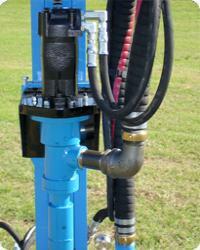 The well drill’s heavy-duty welded steel frame and rugged hydraulics stand up to the most demanding applications. 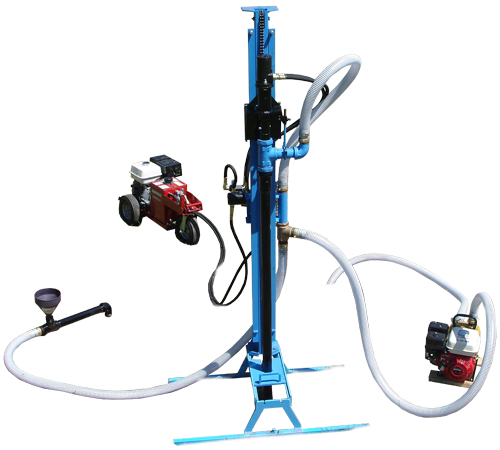 The LS200H features a convenient bypass flow control for pushing to maximum force when anchored, and the drill’s swivel base design swings the rotary aside for quick, easy access to the borehole.